When it comes to improving health and function, exercise is (and will always be) without a doubt our best medicine – but did you know exercise also promotes healthy aging? 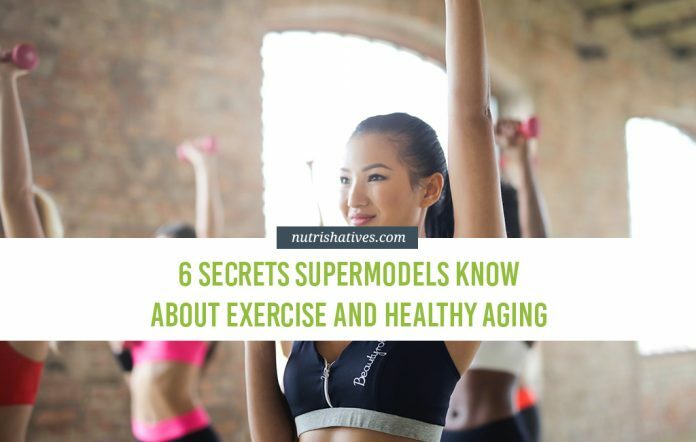 Yep, believe it or not, in this world of amazing technological advancement and pharmaceutical wonder, exercise is still our best option for prolonging age, enhancing health, and staving off age-related declines in function. Here are the relationships each of the big five traits have with health-related behaviors. It truly is the panacea. How Does Exercise Promote Healthy Aging? When you participate in the exercise, you place the body under a form of physical stress. While this may sound a little bit worrisome, I can assure you that it’s not! You see, the body adapts to this stress at a cellular level, becoming both stronger and more efficient (in which it becomes more capable of dealing with this stress). Mitochondria are the ‘powerplants’ of your cells. In short, they are where energy production occurs! 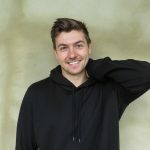 While the entire process is incredibly complex, all you really need to know is that mitochondria take in oxygen molecules and specific nutrients and turn them into energy. This energy then fuels all your body’s functions (see, powerplant seems pretty appropriate to me). As a by-product of this process, the mitochondria produce molecules known as reactive oxygen species (ROS). If left unchecked, these compounds cause oxidative stress in your body’s cells, causing a significant reduction in their capacity to function. If we think about the powerplant metaphor again for a second, we can think of the nutrients and oxygen as the coal you burn for energy. These ROS are the smoke — harmful by-products of the burning process. Now, it is important to note that the production of ROS by mitochondria is unavoidable. But they are typically destroyed by antioxidants — molecules that act like tiny smoke filters that are found throughout the body. As a result, cell damage from ROSs can only occur when the production of ROS exceeds your body’s antioxidant “filtering” capacity. And this is where aging and the mitochondria become so heavily linked – because certain changes in your mitochondria cause extra ROS production. You see, the ROS cause some serious damage to your mitochondria, which can result in them becoming abnormal and inefficient (as they are constantly exposed to the harmful “smoke”). This results in a serious drop in their ability to function on a day to day basis. With this decline in function, it is common to also see an increase in ROS production and a decrease in both oxygen consumption and energy production. This can expedite the aging process throughout the body and cause serious reductions in function. Now, amazingly, while these negative changes to mitochondria are common in older individuals, they appear to improve with aerobic exercise. While the exact mechanisms are unclear, studies clearly show that exercise protects mitochondrial function. Better functioning mitochondria result in fewer ROSs. Fewer ROSs, less cell damage, and aging. It’s like protecting your home from smoke damage by making less smoke! Now bear with me, because things are about to get a little sciencey for a second (I think science is a word?). On the ends of each of your DNA chromosomes, you have little structures called telomeres. Telomeres serve as specialized ‘caps’ that protect your DNA when your cells divide (think of those little plastic things on the end of your shoelaces that stop them from unraveling). When your cells divide, telomeres prevent your DNA ends from fraying and make sure all your DNA makes it into the new cell. This protects your cells from mutations. But over time (through the process of constant cellular replication) your telomere caps become smaller and smaller. This occurs until they become so small that the cell can’t be sure it will really be able to pass all its DNA on to its daughters. Since it’s no longer able to divide safely, it just stops. This is a state known as cellular senescence. In senescence, a cell can’t divide, but it also can’t die. It just sits around waiting to be old and damaged enough to actually kick the can. Naturally, while the cells slowly age and accumulate damage, the also slowly stop functioning properly. Having more and more cells in senescence (so fewer and fewer cells that function normally) is thought to contribute to the aging process in a big way. Amazingly, studies show that exercise causes the upregulation of a key protein known as telomeric repeat-binding factor 2 (TRF2). TRF2 actually helps bulk up your telomeres, making it easier for them to bind tightly to the ends of your DNA. By boosting TRF2 levels, exercise helps protect your telomeres, keeping your cells dividing healthily, and slowing the onset of aging. As you get older, it is extremely common to see declines in both your bone mineral density and muscle mass. Now both of these are obviously pretty negative, as they can contribute to both a loss of function and an increased risk of bone fractures. 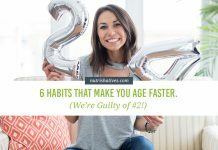 Interestingly, for a very long time, researchers though both of these were a normal part of the aging process – something that was completely unavoidable. But new research suggests otherwise. 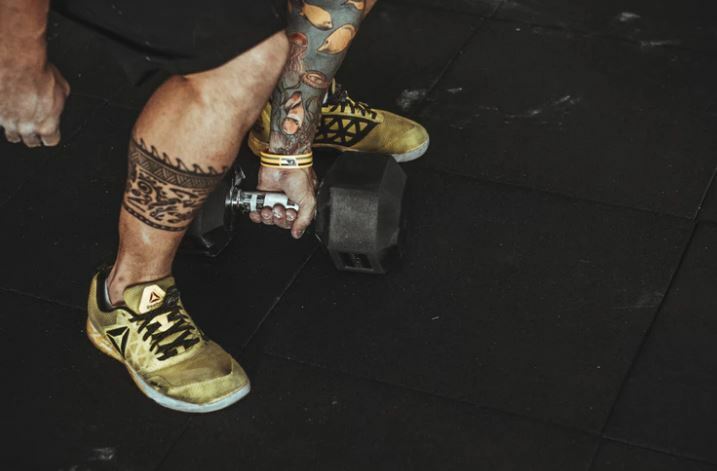 Studies show that, if you engage in regular resistance exercise (AKA weight training), you can slow these age-related declines and promote the growth of new bone and muscle tissue, literally reverse the aging process. Clearly, straying into the weight-room every once in a while is going to do more for you than give the sleeves of your shirts a stretch (not that there’s anything wrong with that, of course). When you exercise, your heart rate increases rapidly, increasing blood flow to your body – including your brain. Interestingly, increased blood flow to your brain increases the secretion of a group of key brain chemicals known as monoamines (dopamine, noradrenaline, and serotonin). These chemicals are exceptionally important for healthy brain function. By increasing blood flow to your brain, regular exercise can balance levels of these chemicals in your brain. This improves brain function, and can even help treat neurodegenerative diseases, such as Alzheimer’s and Parkinson’s disease. It’s quite incredible, really, that exercise can not only impact your physical health but also your mental health and cognitive function, too! Aging is strongly associated with a large drop in normal immune system function (a condition known as ‘immunosenescence’). This, naturally, messes up your immune responses, putting you at increased risk for infection, autoimmune diseases, and even cancer. Interestingly, long-term exercise has been shown has been shown to boost the production and the function of white blood immune cells (with specific emphasis on NK cells and T-Cells), keeping your immune system humming away happily, even as you age. Exercise can seriously reduce how often you get sick, with basically any disease! Isn’t that just ridiculous? Finally, as you get older, it is quite common for your veins and arteries to become less functional. They lose their ability to dilate and let blood flow through your body unrestricted. Up Next: Aging Heart: What Happens to Your Heart When You Get Older? These effects of poor blood flow are actually thought to be one of the key mechanisms behind the age-related functional decline. But, fortunately for us, exercise causes adaptations in your veins and arteries that increases their ability to dilate and constrict normally. This greatly improves blood flow through your entire body and keeps those negative consequences at bay. Getting older does not mean that you have to see severe age-related declines in health and function. In fact, much of the deterioration observed as you age can actually be avoided through exercise. Exercise improves the function of your mitochondria, increases the length of your telomeres, strengthens your muscle and bone, stimulates the secretion of key brain chemicals, boosts immune function, and increases blood flow. 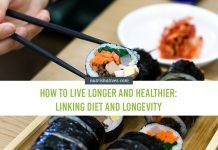 With this in mind, it truly is the most effective method we have available to promote healthy aging and ensure we maintain health and function well into our golden years.